In 1960, the U 67 sought to deliver smoother highs, a solid bass and a rich detailed mid-range while introducing some new technical advances. 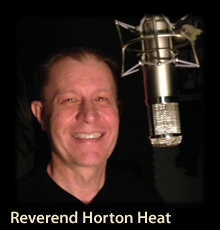 Proximity effect is the low-end boost created when a vocalist gets very close to a microphone. It can have a very powerful effect, but can leave the bottom end muddy and boomy. To handle this, the '67 introduced a low-end roll-off switch. For very loud sources like drums or certain guitar amps, a -10 dB pad switch was also introduced. Though the much-loved steel body VF14 tube of the U 47 had been discontinued, a lower noise floor was now possible with the new glass pentode tube. A more accurate figure-eight polar pattern was also now possible thanks to the development of the double back plate K67 capsule. 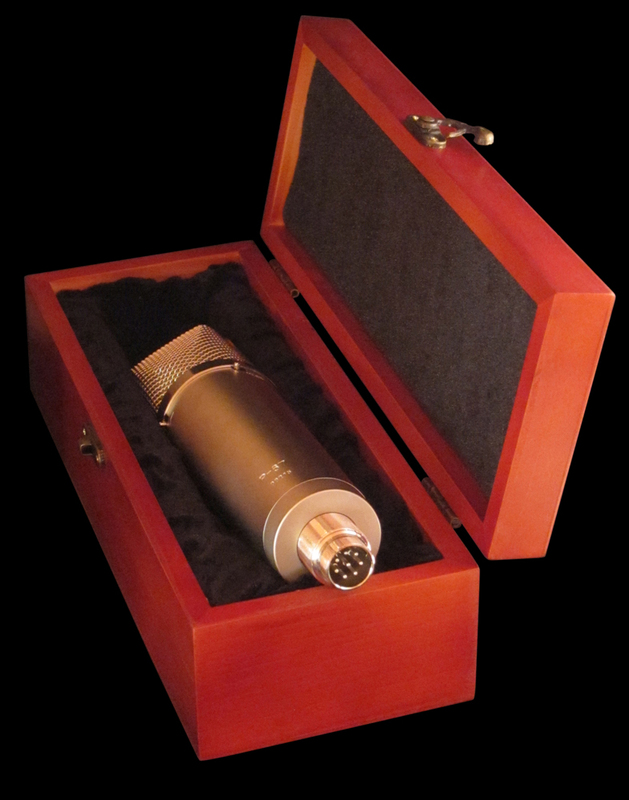 Manufactured from 1960 to 1971 the U 67 was the versatile workhorse of professional recording studios of the time. 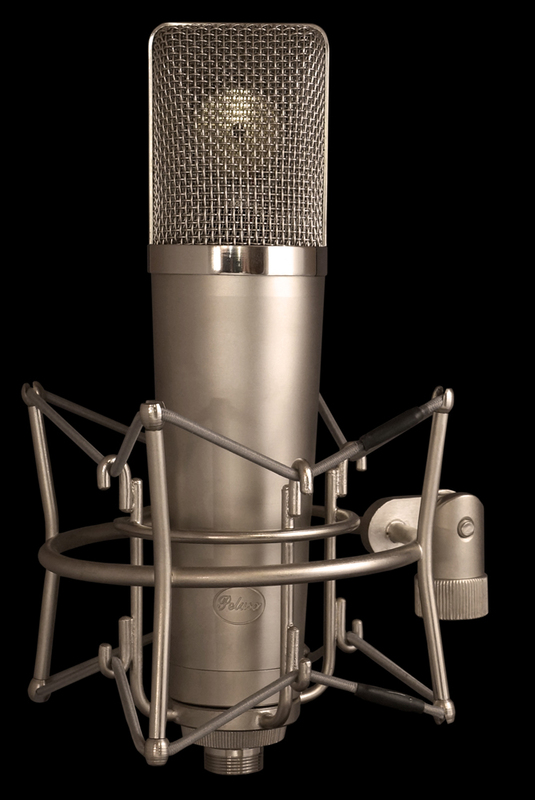 The P-67 is a faithful tribute to this treasured microphone. The P-67 is paired with the Peluso MX-56 power supply. The dual sided capsule in the P-67 enables the power supply to feature 9 polar patterns in an array from omni-directional to cardioid to figure eight. The P-67 features our heavy-duty 8-pin screw on cable connector. The large diameter pins in the screw on connector give a tight and secure cable connection designed to perform for a lifetime of use. 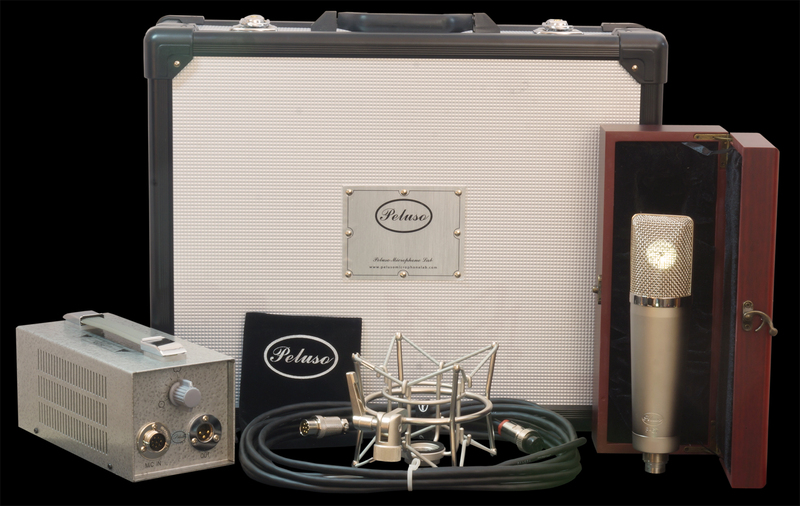 Microphone kit comes as a complete system including: P-67 Microphone in a Wood Box, Power Supply, New-style 8-Pin Screw on Cable Assembly, and a Shock Mount all packed in a Flight Case. 'It's much brighter and less specialised than the Peluso 22 47 and, although not quite as airy as the Peluso P-12, the P-67 has more midrange body. The sonic character of the P-67 changes between patterns but there's no weak spot. In omni the sound is even rounder, sweeter and more natural, with figure-8 providing maximum focus.